Young Living provides the purest therapeutic-grade essential oils, come experience and learn more about these amazing products. 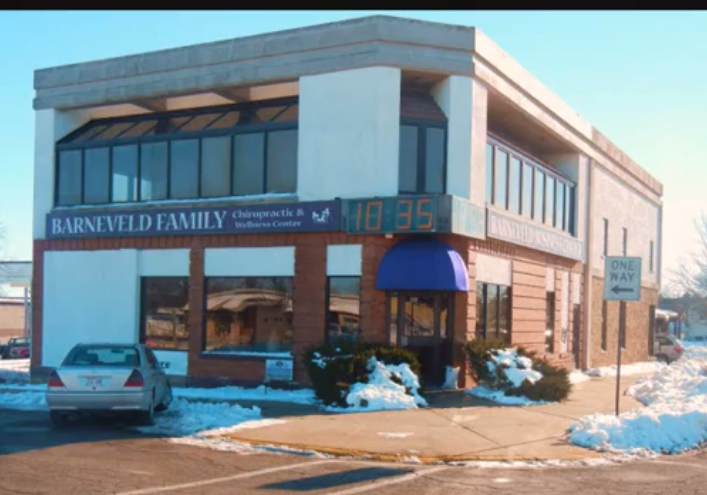 Welcome to Barneveld Family Chiropractic! Every person carries the inborn potential to be truly healthy. Our mission at Barneveld Family Chiropractic and Wellness Center is to help our patients reach their optimum state of health and wellness utilizing the natural healing power of chiropractic. We strive continuously to earn the privilege of becoming every family's chiropractic team. We are committed to doing so with an ongoing spirit of service, dedication, and integrity, holding ourselves accountable to the highest professional and ethical standards. Our approach is a holistic one. We treat the entire person, not just their symptoms. We desire to correct the cause, not its effect; to free rather than control; to assist rather than intrude. Our goal is to not only alleviate pain, but to inspire our patients to become active participants in achieving their own well being. We will both treat and educate our patients, so they can experience the full range of benefits that come from having a healthy spine and nervous system. Sign-up using the form or call us at 608-924-2424 to make an appointment today! "Thank you for taking such good care of my family and me. The adjustments keep me grounded, and the good laughs keep me blissful." "I first went to Dr. Kimberly due to the ease of scheduling and due to her location being so close to my home, daycare, and my child's school. I keep going to Dr. Kimberly because of her individualized treatments, her willingness to experiment with new treatments, and her continuous knowledge for what she does. I have recommended several family and friends to Barneveld Family Chiropractic and they agree!" "The Barneveld Chiropractic Clinic is the only place I will go. I have a plate in my neck and she is the only chiropractor who I trust to help me relieve my pain! She takes special care of my needs! Thank You Dr Kim! You are the best!"